Well, I’ve finished my other brand of shampoo and conditioner so I hunted for a new one a few weeks ago. 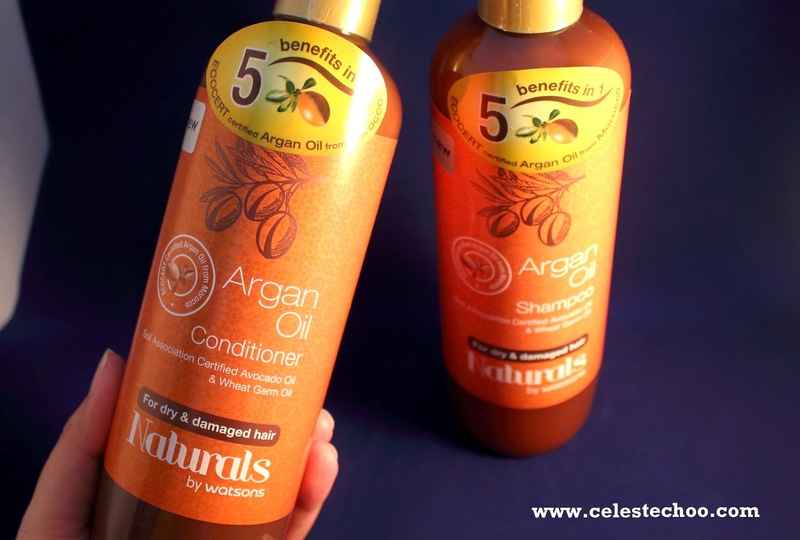 I’ve heard about the launch of the New Naturals by Watsons Argan Oil and got curious about these products. Sulfate-free shampoo and conditioner at these affordable prices? One of the brands with Argan Oil that I’ve heard of is Josie Maran, which is exclusively available at Sephora. I haven’t tried it yet but let’s see how Watsons Argan Oil fares first. 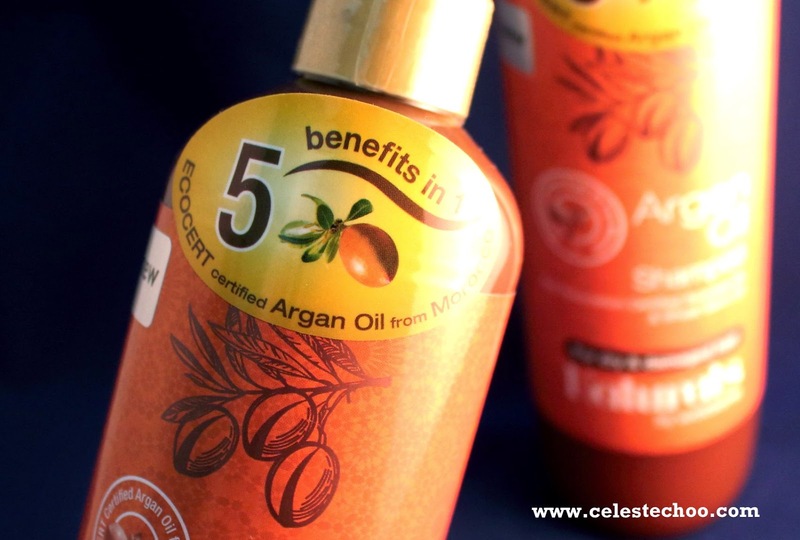 The Naturals by Watsons Argan oil hair product range is formulated with ECOCERT certified organic argan oil, which is rich in essential fatty acids and provides necessary nutrition and protection to nourish body and hair roots to tip. It also consists of Soil Association certified organic avocado oil and wheat germ oil to help heal dry skin and strengthen hair while restoring hair’s natural shine. 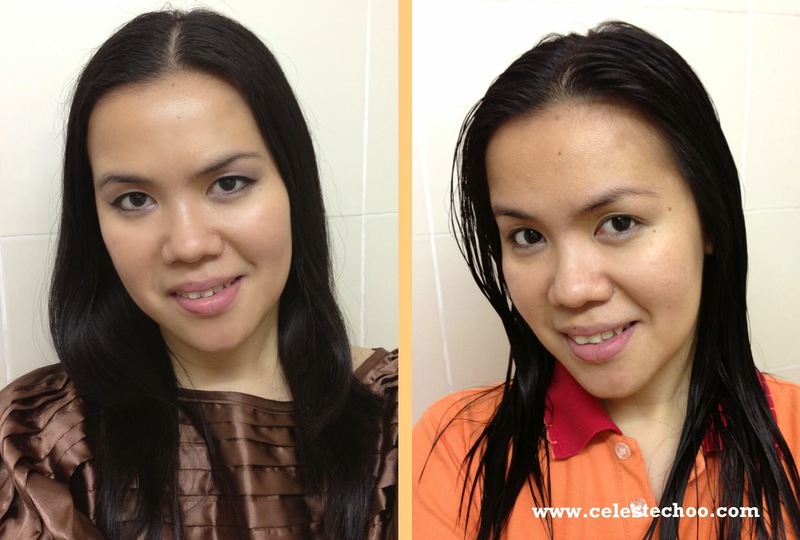 Both the shampoo and conditioner come in a brown and orange color combination of plastic bottle with pump. The pumps are protected by seal to prevent leakage and tampering. The Naturals by Watsons Argan Oil shampoo is in a gel-like texture with white translucent color that glimmers under the light. One of my concerns before with sulfate-free shampoo is that it has very little foam so I tend to use more of it on my hair. But, hey, wait a minute. This one produces enough foam nicely! The pump makes it easy to dispense shampoo and it just dispenses the right amount, too. Since I have long hair, I probably press the pump 4-6 times. The scent is also pleasant but it does remind me of cola drink, which is nice and sweet; I like it. The Naturals by Watsons Argan Oil conditioner is also gel-like with creamier white color than the shampoo. 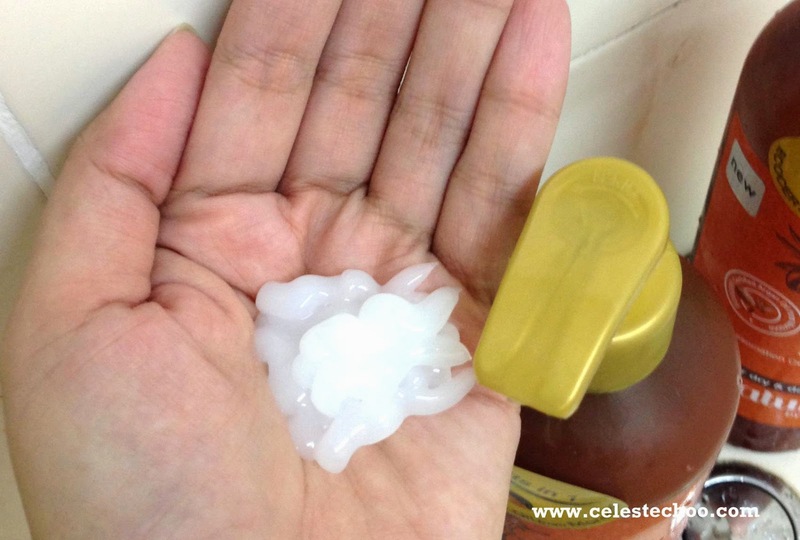 The bottle of the conditioner is exactly the same as the shampoo so it also has the same quality of pump to dispense the product. I find the pump user-friendly and convenient for ‘mummies in a hurry’ like me. The minor downside to this type of identical packaging is that some people might mistake one for the other. The labels are of the exact design and color with only the words ‘shampoo’ and ‘conditioner’ as difference. If you’re buying these in a hurry off the shelf, you might accidentally purchase 2 of the same items. Guess we just need to remind ourselves to read carefully. The conditioner glides smoothly on the hair and although it has a gel texture, it surprisingly adheres well to the hair, not watery at all. The scent is similar to the shampoo, reminding me again of cola drink (feel free to disagree with me if you’ve tried this, haha). So are these hair products good? Oh, yes! With very affordable price, these Naturals by Watsons hair products are a great addition to your hair care regimen if you have dry and damaged hair like mine. 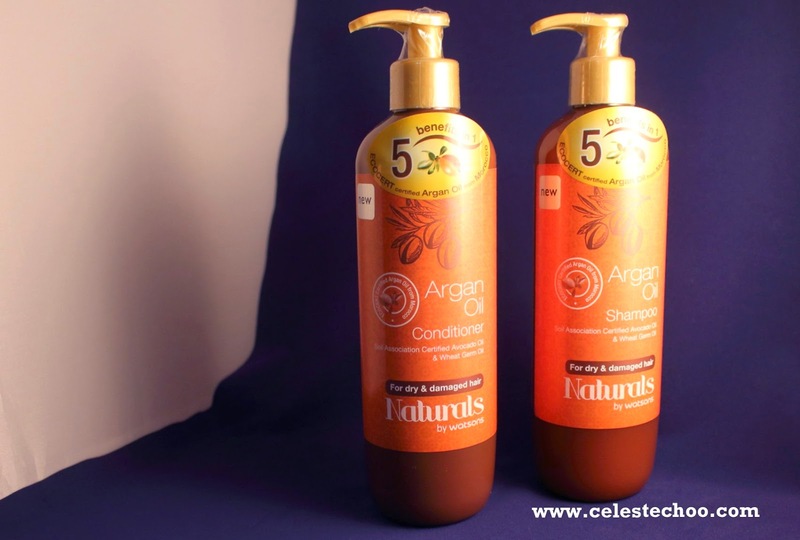 My hair is well moisturized with these argan oil – based shampoo and conditioner. I just rebonded my hair last week and it’s important to use products that repair damage and strengthen the hair. 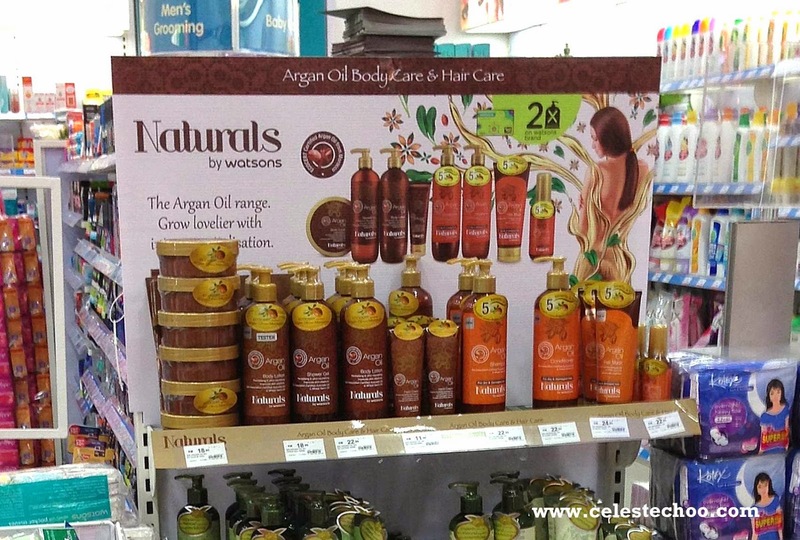 Yay for Argan Oil hair care from Watsons! 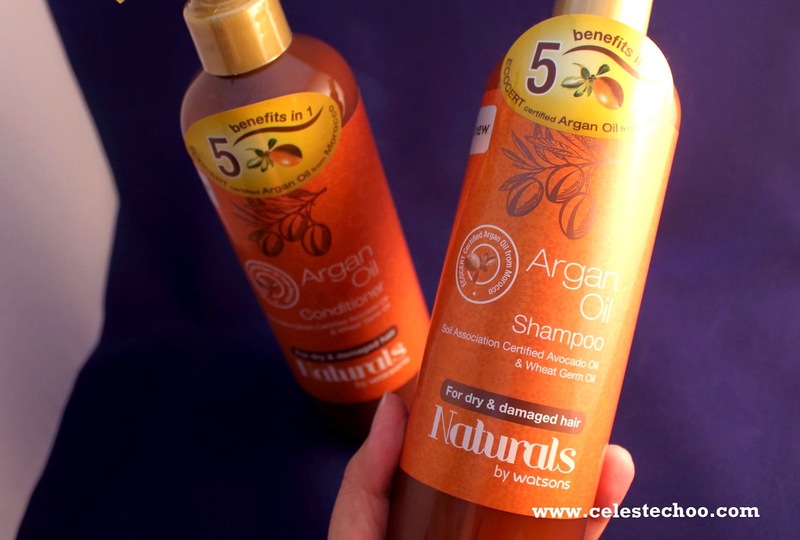 All Naturals by Watsons Argan oil hair solutions are free from paraben, mineral oil, silicone, sodium lauryl sulphate and colorant free which have harmful side effects and can cause health problems. For more information about Naturals by Watsons Argan Oil solutions, visit www.facebook.com/watsonsmalaysia or Watsons official website www.watsons.com.my . Watsons is Asia’s leading health and beauty retailer, currently operating over 3,600 stores and more than 900 pharmacies in 12 Asian and European markets, including China (Mainland China, Hong Kong, Taiwan and Macau), Singapore, Thailand, Malaysia, the Philippines, Korea, Indonesia, Turkey and Ukraine. 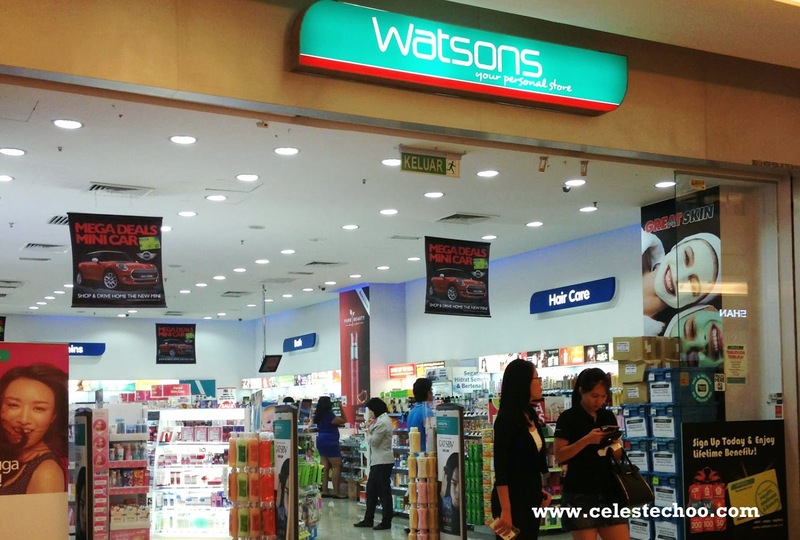 In Malaysia, Watsons currently operates over 300 Watsons stores in the country serving more than 2.5 million customers per month. Please visit www.aswatson.com for more in-depth information about A.S. Watson Group and its brands.